These days, the only thing more ubiquitous than President Trump’s tweeting is the different approaches to marketing and advertising. Everywhere you go, you are being subjected to it. Television, radio, social media, mobile, online, mailboxes, store windows, movies, celebrities, sports; everywhere. It is so much a part of daily life that, for the consumer, it all becomes a bit of a blur and, for the brand, it becomes a challenge to stand out from the noise. That is why you need to embrace creativity and find a way to split from the pack; find a way to get your marketing seen and not heard. It is no easy feat, but it isn’t impossible either. It is just a matter of knowing how, which is exactly why we have come up with a list of top tips to help you make the most of your creative ideas. The best route you can go down with your marketing is the short and concise route. You don’t have long to get your message across, which is why you need to focus on the one overture you want to get across to your audience. Don’t put loads of calls to actions in their and don’t overload your message with too many words of over the top visuals. Just make it clear. It can be too easy to go down the, “we should advertise on billboards,” route for the simple fact everyone else is doing that. The fact everyone is doing this is not going to make you stand out. So try something else instead. Try advertising on mobile billboards. It’s simple psychology. 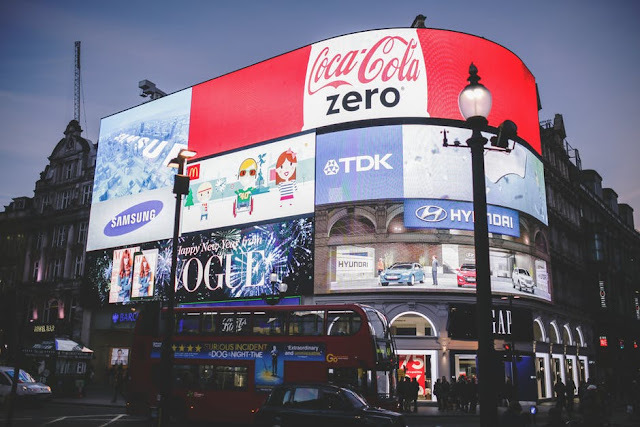 A billboard that moves about and uses video is going to stand out more than a static billboard with images, in the same way social media is going to be more successful than the Yellow Pages. Be exciting and original and you will also be memorable. As Twitter & Square CEO Jack Dorsey says "expect the unexpected, and whenever possible, be the unexpected." In the same way, poorly written content can damage your brand, well-crafted content can take your business to the next level. So never devalue this part of your marketing strategy. Yes, paying $6 for a 500-word blog is cheap, but good value? No. The internet is full of words, and you need yours to stand out. Content, headlines, slogans, blog posts; these things can make a business. Your Images Matter. A Lot. Nothing can beat great imagery when it comes to your marketing campaigns, which is why you should always use a professional photo that addresses your needs and always make sure it is high-res. If you can’t get your hands on a good, high-quality image then you need to realize that no image is better than a bad one. Instead, let your words tell the story your imagery was going to. Good words are a thousand times better than a bad picture. Any success your content marketing has comes from the impact your headline has. That’s because ninety percent of your audience will read the headline but only six percent will read your content. So make you have an irresistible hook that will make them want to read more. Be original, be catchy, be clever or funny, and offer your reader something of value. I hope you enjoyed this article about how to stand out from the pack with your marketing campaigns and ads. Interested in more articles about mastering marketing?